Albert Allen was raised on the Northside of Milwaukee, one of the roughest sections in the city… But in due time, the world would come to know him as “Big Doon”. Big Doon grew up in a single parent home that was heavily influenced by music. His mother, Darlene Allen, was an inspiring gospel artist, with an angelic voice. She introduced him to the sounds of music at an early age. In addition to his mother, he was also influenced by his uncle Calvin Wilson. Calvin toured with Charlie Wilson as a lead guitarist. It was only a matter of time for Doon, because music was in his blood. In 2010, while with Prue Game Entertainment, Big Doon experienced some success. He dropped the single “Pull Up at the Mall”, which set the streets a blaze. Due to his success, he signed an endorsement deal with Cricket Wireless, which would lead him to sign with E1 Entertainment in June 2012. 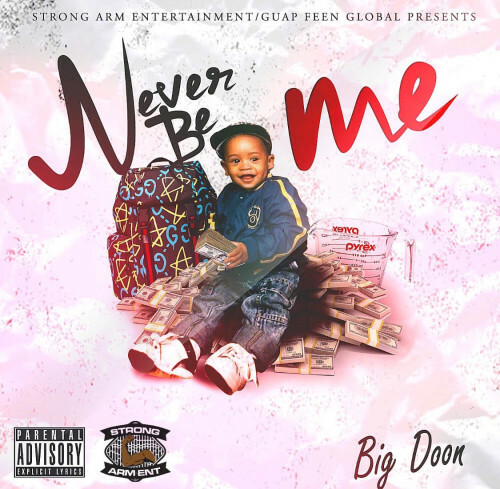 After dropping a number of singles on the E1 label without much success, Big Doon decided to part ways and was looking forward to moving forward as an independent artist. On July 4, 2016, things took a turn for the worse. Big Doon was shot 3 times while sitting in his car. This incident landed him in critical condition with an 80% chance of survival. But as the Universe would have it… there were different plans in store for this “jewel”. After a full recovery, Big Doon was released from the hospital. On the same day he was released, he went to the studio and recorded “Never be Me”. This song was inspired by the recent tragic events that occurred in his life. Doon knew he had a hit and played his song for Akelius Armstrong, CEO of Strong Arm Entertainment. At that moment, Akelius knew it was going to be a hit and immediately signed a joint venture with Big Doon’s Guap Feenz Global Imprint. Stephanie Hines, Talent Manager, for Strong Arm Entertainment, would take this song to the next level.